According to a collaborative report between Electronics Recyclers International, Inc., and Global Focus, North America that was published on April 6, 2016, for Knowledge@Wharton, the United States does not have a federal law that requires the recycling of electronic equipment. There is also no law to prohibit companies from sending the electronic waste from discarded equipment to developing countries. 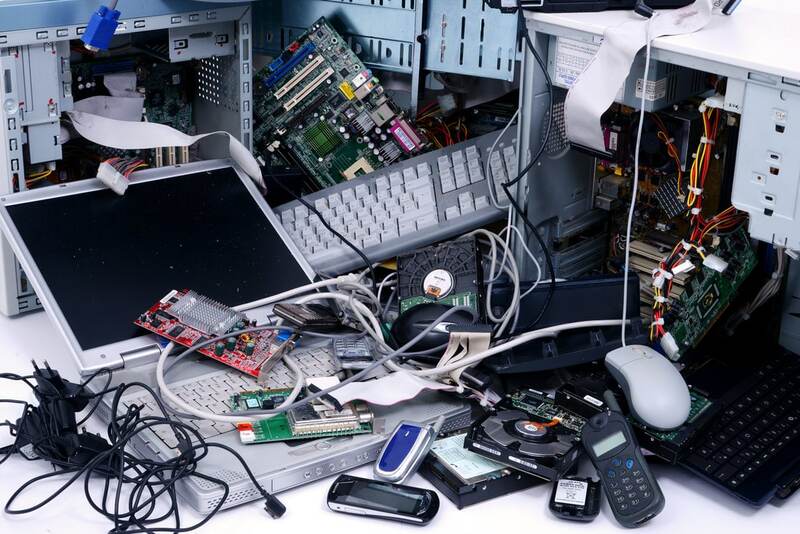 The Resource Conservation and Recovery Act covers the disposal of some electronic waste that is deemed toxic, but the Electronic TakeBack Coalition says that most of the electronic parts that are exported for recycling are exempt from the law’s stipulations. ​In 2003, California became the first state to pass an electronics recycling law. The California law led to the passage of similar laws in 27 additional states, and a law that applies to the District of Columbia. There are still 22 states that do not have any law on the books that relates to the recycling of electronic products and devices. In spite of that, many electronics recycling programs throughout the country are run by national retailers, non-profit organizations, local and county government programs and other services. ​To educate the public about electronic sustainability and stewardship, the agency cited a 2013 Consumer Electronics Association Report that suggests that the average American household uses roughly 28 electronic devices. The organization goes on to explain that in 2014, 1 percent of the nation’s municipal solid waste stream contained 3.36 million tons of obsolete electronic devices. The group goes on to explain that in 2014, 1 percent of the nation’s municipal solid waste stream contained 3.36 million tons of obsolete electronic devices. That waste came from American households. The EPA goes further to explain that by recycling one million laptops, Americans could save enough energy to equal the total amount of electricity that 3,657 homes in the country generate in a single year. One metric ton of circuit boards produces 40 – 800 times the amount of gold that mining one metric ton of ore would produce. Additionally, one metric ton of circuit boards yields 30 to 40 times the amount of copper that one metric ton of ore would produce. ​According to the Electronics TakeBack Coalition, EPA data shows that the US generated over 3.4 million tons of e-waste in 2012 and of that total, only one million tons – or roughly 29.2 percent of that waste was recycled. That means that in 2012, an estimated 2,420 million tons of e-waste material was trashed. When those figures are compared with the data from the year 2000 when 1,900 million tons of e-waste were generated, and 190,000 pounds or a paltry 10% was recycled, and 1,700 million tons were still trashed, that may seem like a lot. Considering the extent to which electronics products rule people’s lives in 2017, the results are not very impressive.